Animal Crossing is a hard series to assess because, to this day, I still struggle to understand what I like about it. Actually, I still don't know if I actually like it or not. When I played Wild World, I obsessively absorbed myself in it every single day, sometimes making it my first activity of the day. It was over a month before I realized it was compulsion, not enjoyment, driving me. Even so, every Animal Crossing excites me. Something about it always draws me in, even though I know it won't be long before my virtual life becomes a monotony of shaking trees, fishing, and paying off loans in a game that perpetuates itself through a constant shifting of goalposts. Eventually, as always happens, I'll get tired of it, and realize every game, no matter what else gets added, will always boil down to fruit and fishes. But this time I get to be the mayor. The mayor! 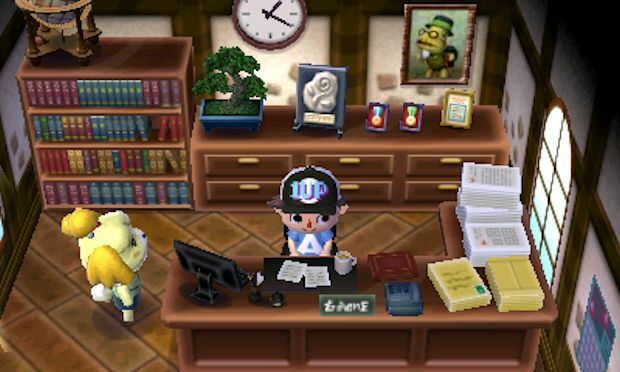 Animal Crossing: New Leaf is not a political thriller of intrigue and seduction. While you get to be the mayor of your very own town, your new career still involves indulging the inane babble of twee bipedal dogs and selling bananas to raccoons. Indeed, being the mayor appears to have very little effect on one's daily life. As always, you arrive in a town populated by self-interested little bastards, and obtain a house courtesy of the debt-hungry Tom Nook. 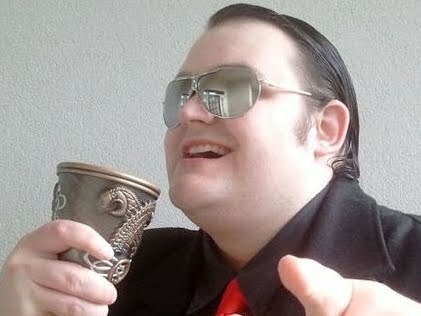 As with every game in the series, your primary goal is to earn money by collecting and selling debris, in order to pay off the loan, build a bigger house, and continue the cycle of owing money to a forest creature. This core will be instantly recognizable to those who have played any game in the series, and if you wanted more of the same, you'll be absolutely well served. Yet again you can collect fish, bugs, and fossils to give to the museum, you can plant trees, water flowers, and buy new items of clothing. You can send letters to animals, get invited to their houses, or deliver sundry artifacts from one resident to another. Every now and then, you'll get visits from Lyle the art dealer, or the turnip selling warthog, and holiday events all occur in real time. The familiar makes up the vast majority of the experience, so if you were hoping for an all-new game, you might be disappointed. Of course, if your Animal Crossing desires extend solely to "more Animal Crossing," that's exactly what you'll get with the misleadingly titled New Leaf. The contents of the package are far from revolutionary, but there's plenty of it to indulge in. The obvious big changes come with mayoral duties that are, unfortunately, not quite as enriching as they could have been. It takes a few days (all in real time) before you can actually do anything as mayor, as you'll need to get your house built and jump through a few hoops first. Once you do, your main role is to decide upon an ordinance for the town, and commission public works -- both of which simply function as slightly tweaked versions of the old loan repayment dynamic. Ordinances slightly alter the way the town operates. For instance, selecting Bell Boom will improve the economy, which means you can sell items in stores for a higher price (though stores will charge more too). Beautiful Town makes animals more likely to plant flowers and reduces weed growth. Early Bird makes things happen earlier in the morning, while Night Owl does the opposite. These changes are subtle and merely add additional minor perks, but it has to be said that Bell Boom can be quite useful for those trying to pay off their loans. Public works are where players really get to feel like they're doing something of note. Choosing from a list of predetermined structures, the mayor can commission new buildings and environmental decorations, from bridges to simple benches and street lamps. Here, the town can be populated with interesting things, such as a camp site that brings in visiting animals, and a new display area for the town museum. Being able to commission bridges is especially useful, especially in towns where rivers break up important areas of the environment, and you can place things (barring important shop additions) anywhere in town, provided you have enough space. Both mayoral activities, however, are dependent on cash. It costs 20,000 Bells to set an ordinance, while public works can cost anywhere from a small amount to a princely sum. 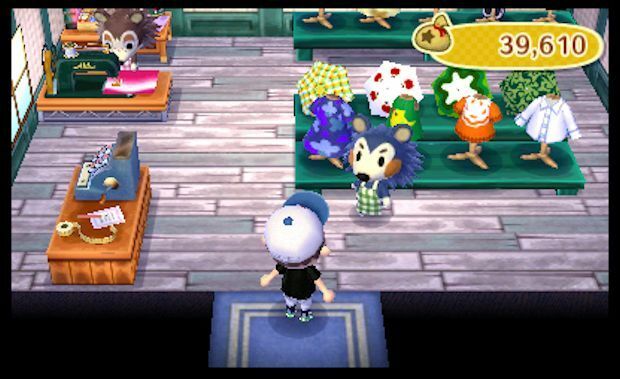 Other townsfolk can donate to the works as well, but due to their being such narcissistic sociopaths, you'll be contributing the lion's share of the donations from your own pocket. What could have been an interesting new addition to the series instead simply adds to the goalpost shifting foundation, giving players yet more debts to continuously pay off, and ensuring everything now takes longer than ever to achieve. 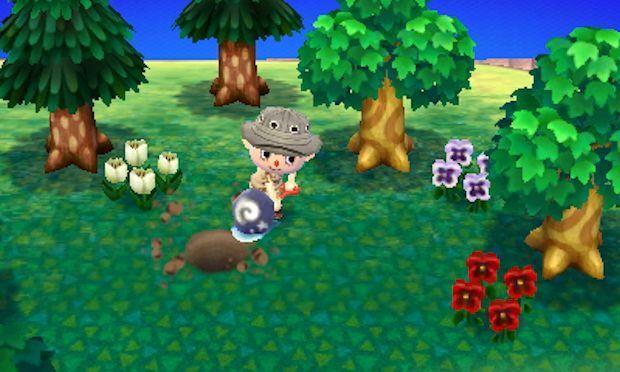 Fortunately, New Leaf still retains a level of satisfaction as reward for the time and money spent. Being able to customize the town, even in a capacity more limited than I'd have liked, carries with it a sense of amusing power, and it's rather exciting to work toward the building of larger, more unique structures such as the Dream Suite, where you can experience other players' dream towns online. It also must be said that there's a lot more content this time around. 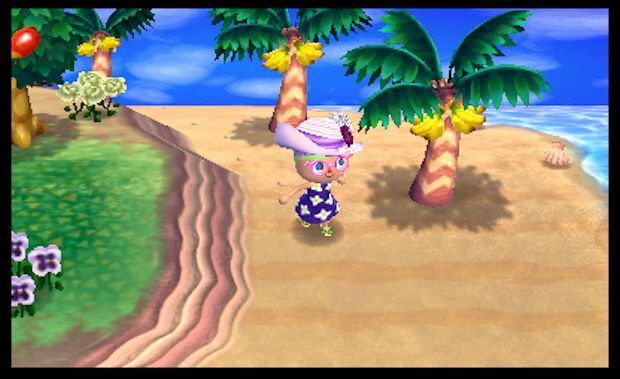 Towns are populated by a greater number of residents, and the tropical island (now Tortimer Island) is back, giving players access to minigames and exotic items to collect. As far as online features go, players can upload their idea of a perfect home to a showcase, and as always are welcome to enter the towns of friends and perform whatever petty vandalism they need to do. As always, there's a compelling and engrossing aspect to Animal Crossing's strangely absorbing banality. Having gone through the motions so many times now, however, I found my interest dropping off more and more as my month with the game wore on. Sure, the new mayoral duties are a great idea, but the fact they work in exactly the same way as house loan repayments means you're doing even more of the repetitive stuff required for the payoff. From politics to tropical minigames, the fresh content is simply a slightly altered way of doing the same kind of things we've done since the first Animal Crossing. Given that Animal Crossing is always a weird little addiction, that's not necessarily a bad thing. It is, however, a game that intrigues me less now than once it did. A new leaf has not been turned. Rather, an old dog is on display. Faithful, loyal, and hard to dislike, but you know what it can do already.